Perth Graphics Centre can now supply movie-authentic Herbie decal kits complete for a Volkswagen Beetle. 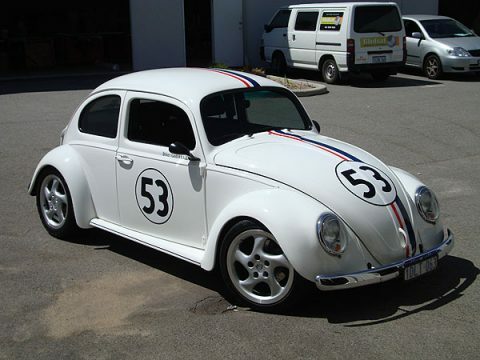 Using templates provided by a Herbie enthusiast, we’ve been able to vectorise the kit which can be fitted in the exact locations used in the movie. 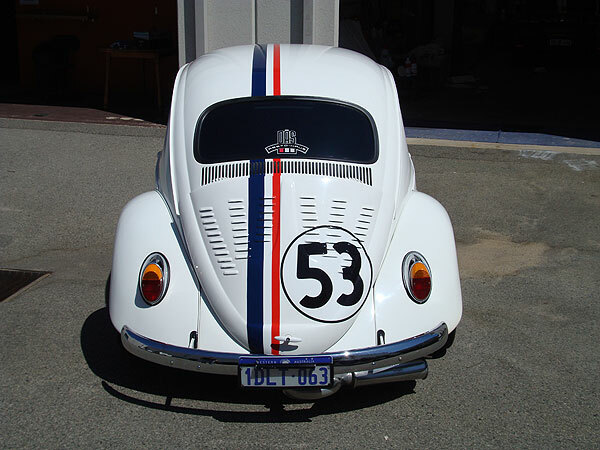 This particular Love Bug is used in racing, and as such has a Porsche engine under its boot lid. 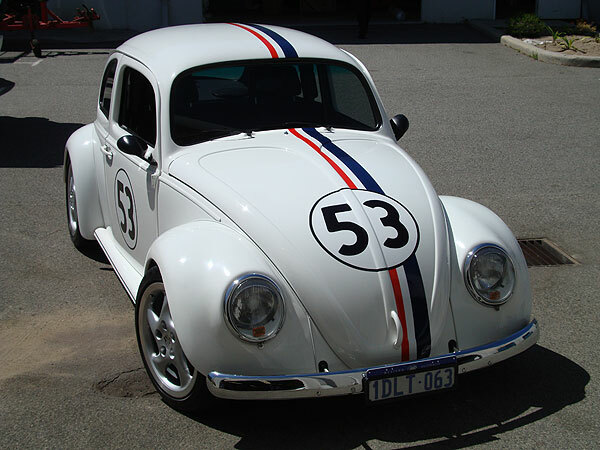 That made it a little more difficult, as we had to deal with air vent holes which normally aren’t present on a Herbie VW Beetle. 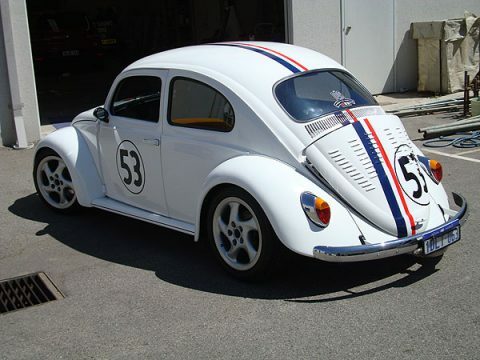 It took a little extra time to mold the vinyl around the air vents but the results speak for themselves. Normally we would mount the rear 53 a lot higher, but placing it lower made those curves and bumps a lot easier to deal with. If you’d like a price on a Volkswagen Beetle Herbie “The Love Bug” kit, then please head to our contact page.